Easy way to publish your products / reviews / offers etc on multiple social media channels (Facebook, Twitter, Linkedin, Pinterest) even when you sleep. Social AutoPilot is THE ONLY app on OpenCart market - approved by Facebook - which can be used to post on Facebook fan pages. 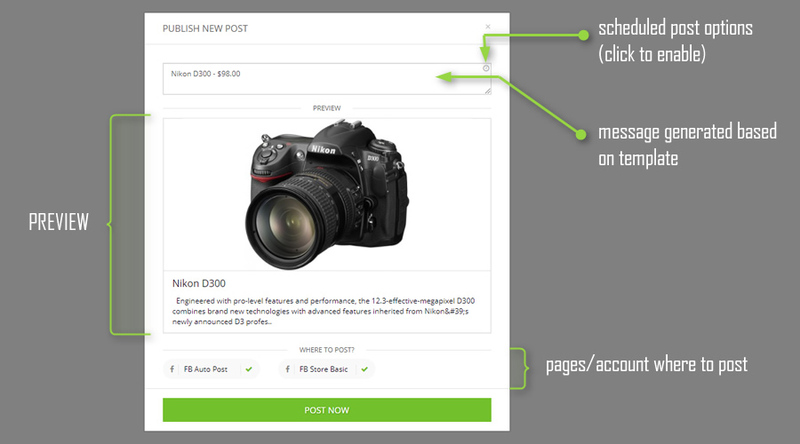 From your store dashboard is now easy to post on multiple channels / pages/ accounts. 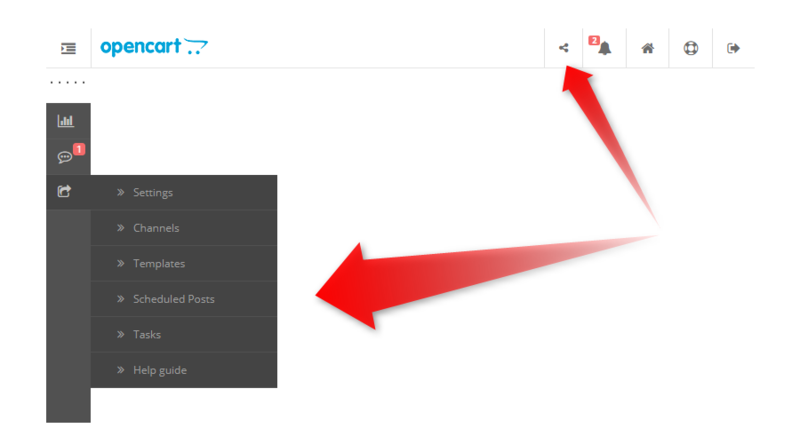 Now you can post on all pages you manage. 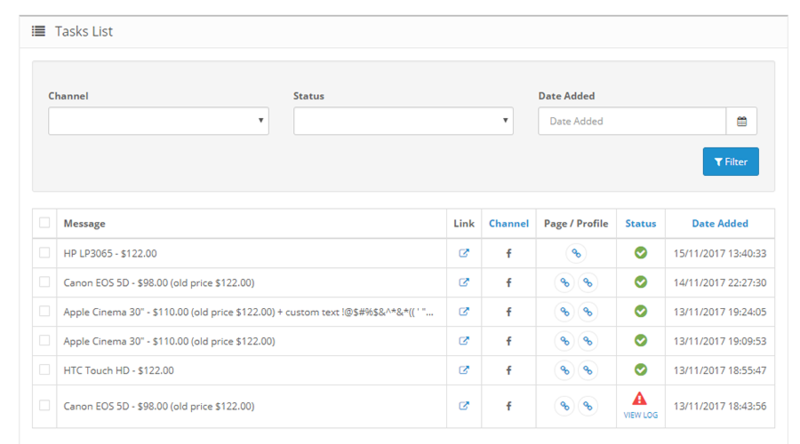 Even you can add pages from different accounts. Just login with account you want to use, grant permissions and you're ready to go. Message can be easily customized from templates section. 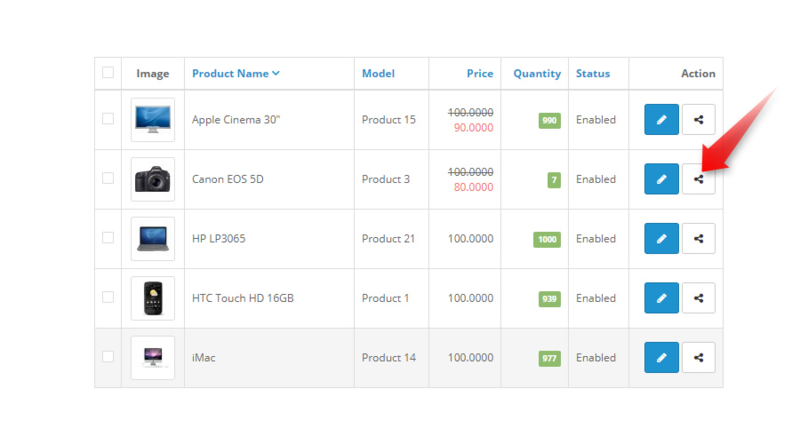 Of course, each post category (product, category, review etc) has his own special keywords. 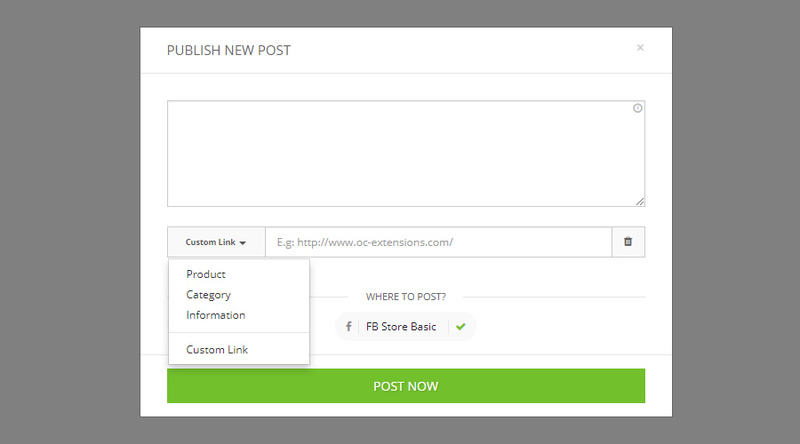 Post message is automatically generated based on default template set for specific post category and you can easily change it. Social AutoPilot can work for you even when you sleep. 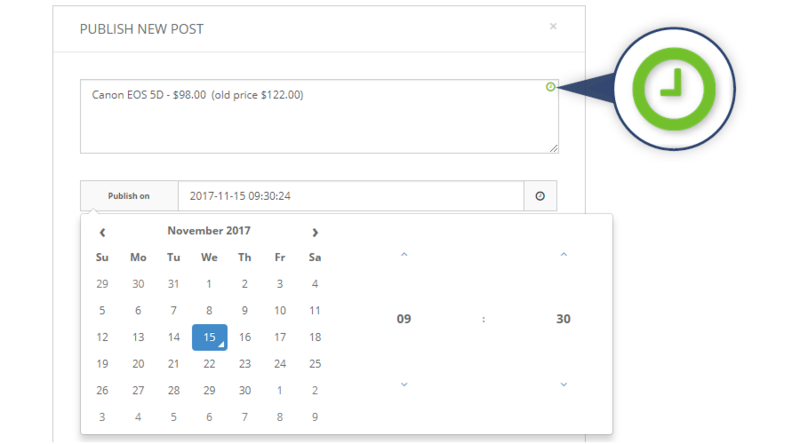 Scheduled posts will allow you to set post for certain date and hour and will do all things needed without any action from your side. Hint: You can set posts for next month starting from today. 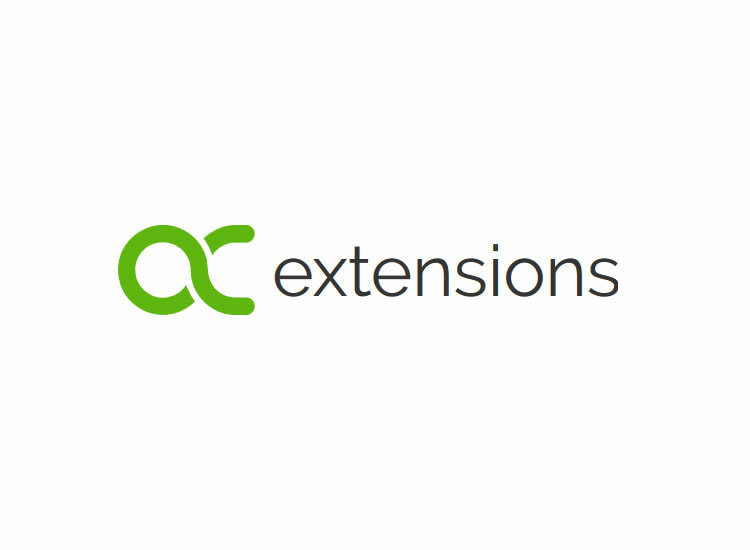 Upload files in your store, set extension as Enabled and you're ready to publish. Most common answered questions about Social AutoPilot. To update, uninstall extension, add new files, install again. No update required if you don't want to use Pinterest features. No update required if you don't want to use LinkedIn features. - before any step save your API KEY!